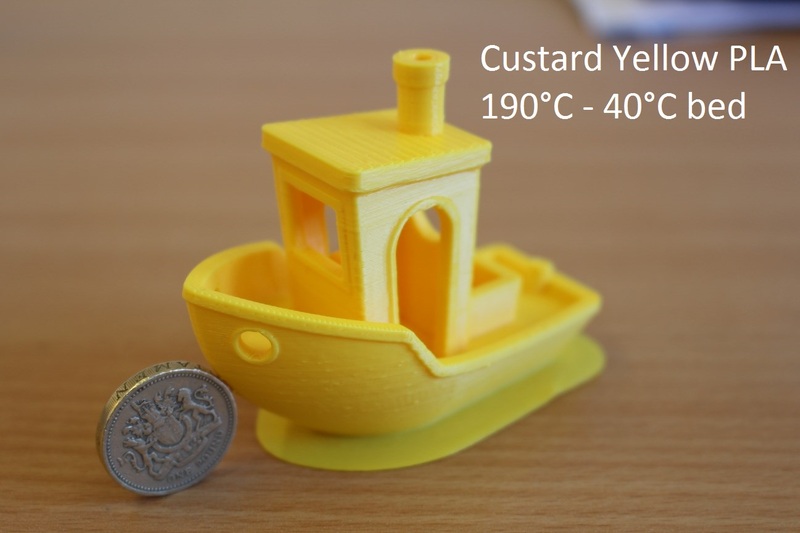 Yellow Premium PLA. Low warp, easy to print. 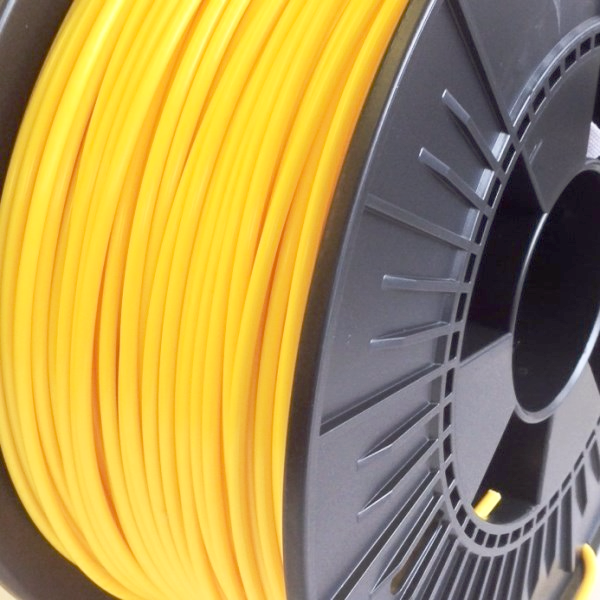 1 Kilo of premium 3D Printer Filament, amazing value for money. Fantastic layer bonding, low temperature printing, (see 3D Benchy print sample in photo) no heated platform necessary, lays down beautifully on the majority if not all 3D printer platforms.